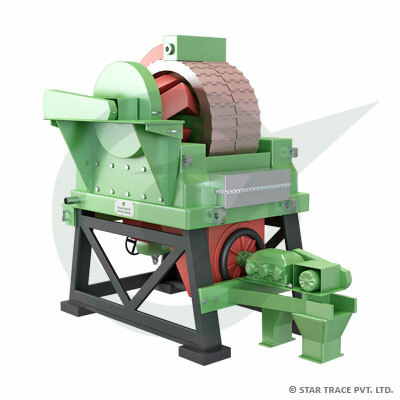 Wet High Intensity Magnetic Separator | Coal Processing | Star Trace Pvt. Ltd.
STAR TRACE pulsation high gradient magnetic separator include: STED-500, STED-1000, STED -1250, STED-500, STED-750, STED-2000, STED-2500 and STED-3000 etc and has been widely used in wet separation for weak magnetic metal ore such as hematite, limonite, siderite, chromites, limonite, wolfarm etc as well as iron separation for purification of non-metallic mineral, such as quartz, feldspar, nightline, fluorite, kaolin etc. Its separation ring is designed to be vertical fine ore is discharged by reverse flow and also with separation pulse device which settles the problem of being essay jammed in horizontal ring and traditional vertical ring from the very beginning. The magnetic material adopts our own patent products which can get higher magnetic intensity so as to get more powerful magnetic force improve the effect of separations. This series products with advanced to ore granularity, ore density and ore grade which realize the goal concentrations and good reclaimation. Magnetic yoke fixed on the machine frame, which generate the strong magnetic field together with exciting coil. Rotary ring in the clockwise drived by the rotary device and goes through the magnetic field slowly. There are many separation boxes on the outer circle of the rotary ring, there is the multilayer magnetic medium which is made of magnetic material inside the separation box. When the rotary ring goes through the magnetic field, it would be magnetized and formed the high grade magnetic field. In the mineral processing, the mine slurry goes into rotary ring along with the gap of the magnetic pole and the magnetic particle would be attracted in the magnetic medium surface, revolving to the non-magnetic area. The magnetic particle would be put into the fine tank and the non-magnetic material goes into the tailing. Star Trace series vertical pulsation high gradient magnetic separator is installed with the stable pulsating device, which can make the mine slurry up-down moving repeatedly. The pulsating flow force makes the mine particle in the relaxed status that is effective to discharge the non-magnetic particle, improve the fine grade. Mean while, pulse pulp is conductive to the elimination of magnetic medium, increase the working efficiency.